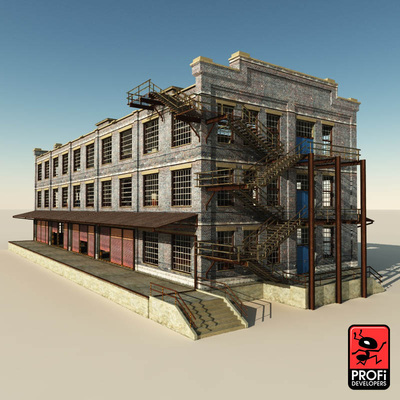 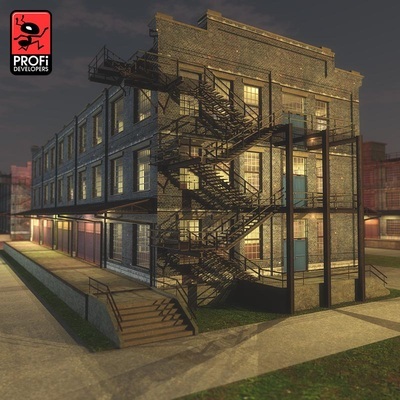 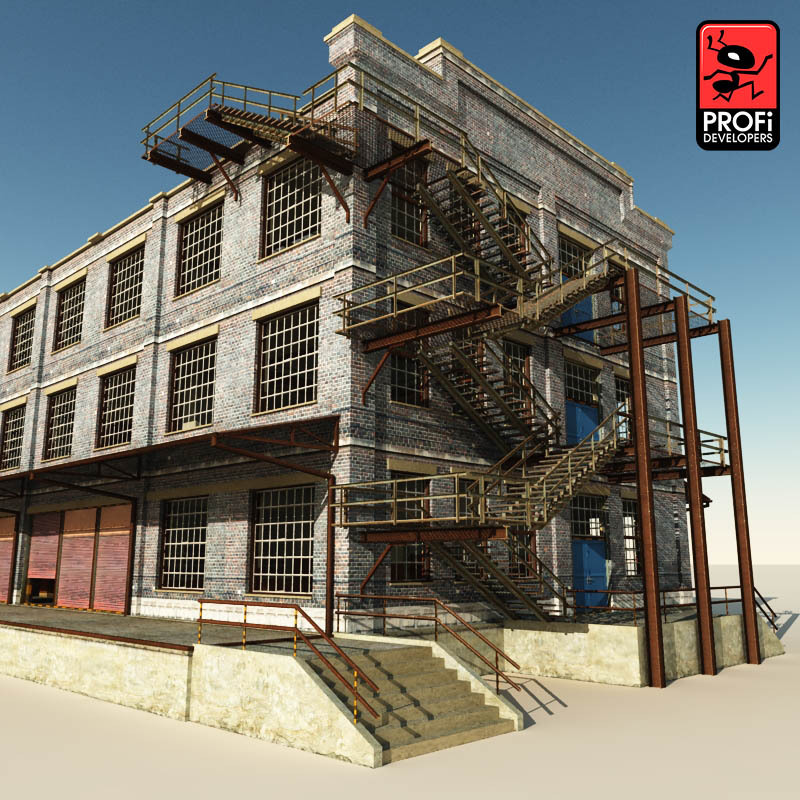 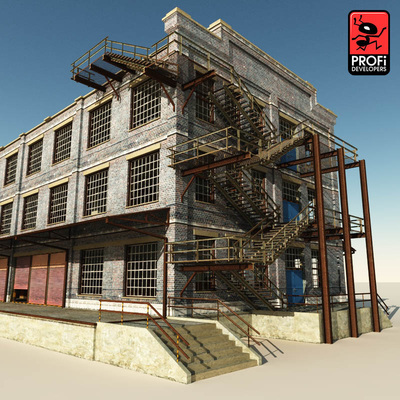 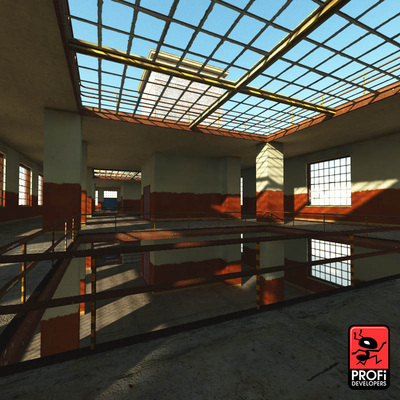 Beautifully detailed industrial warehouse building exterior from 20th century. Model is nicely phototextured. Facade textures size are 1024x1024 in JPG format. 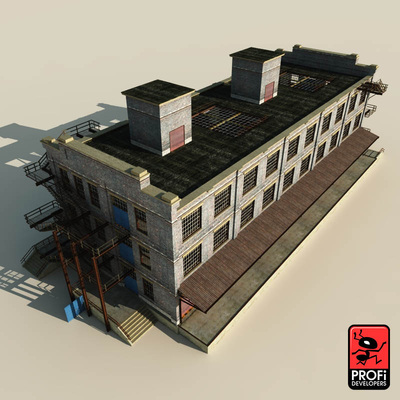 This model is suitable for a closer view. 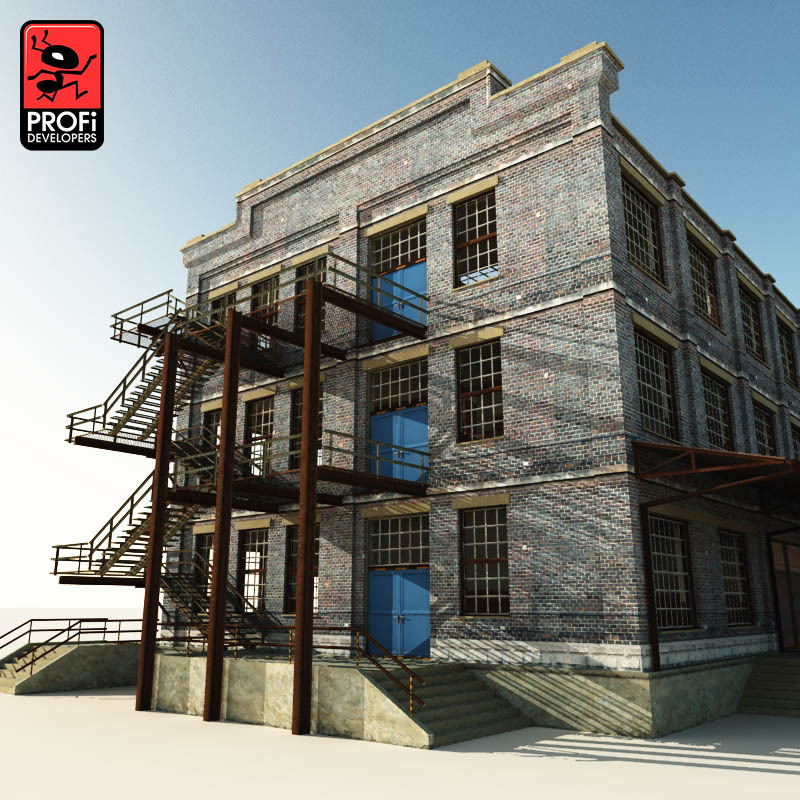 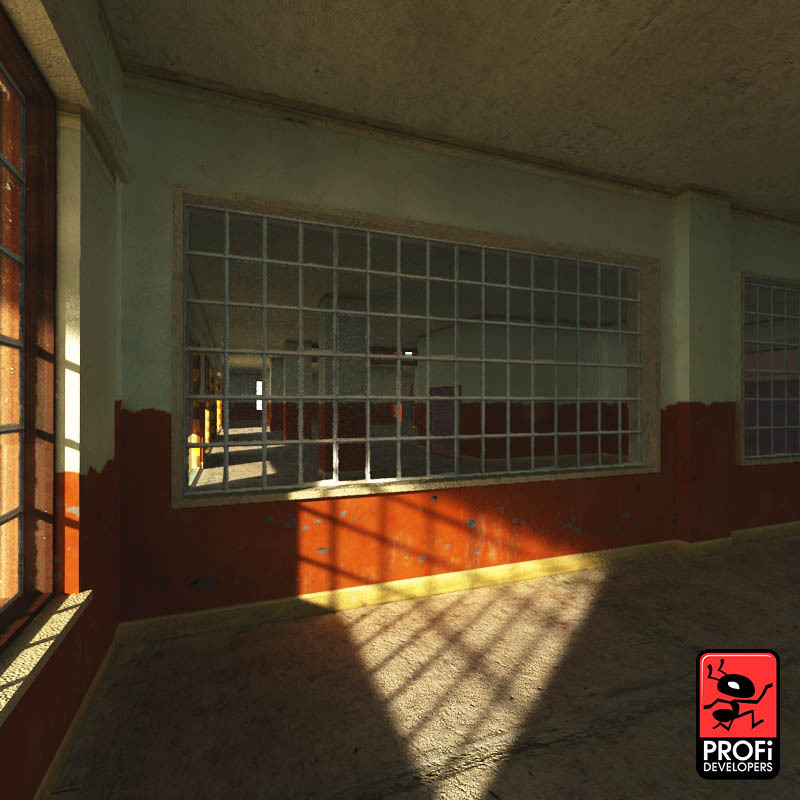 Model has interior, and all doors are separated and can by animated.